There are lots of reasons to get involved with the 2015 RESETNATION Challenge. Do you want to focus on losing a few kilos or to feel a little fitter? Do you want to be more mindful about your health and wellbeing? Or do you want to motivate a loved one and/or lead by example? 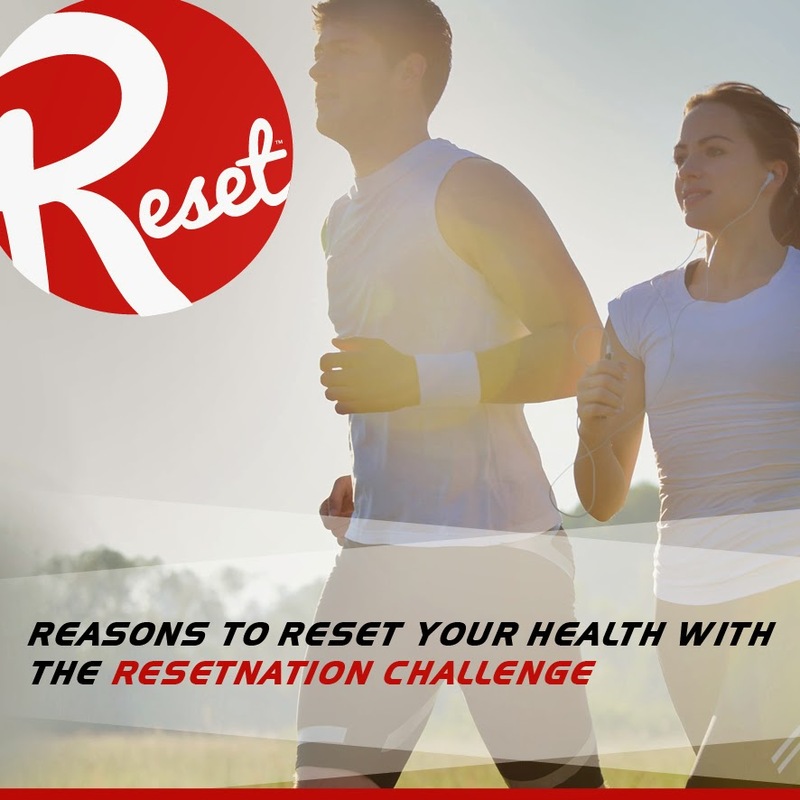 If the answer to any of these questions is yes, then it’s time to take part in the RESETNATION Challenge! 1. Weight tends to creep up slowly. Just one month of overeating and being less active can have weight gain effects that last for years. Over the 12-week RESET plan, we’ll guide you to become more mindful of your health and show you how small changes can add up to big health benefits. 2. It doesn’t have to be about your weight. Getting involved in the RESETNATION Challenge doesn’t need to be about weight-management alone – take the opportunity to focus on more mindful and healthy eating. 3. Get off to a flying start. The first five days of the RESETNATION Challenge involves focusing on Nutrimeal Meal Replacements and the Protein Snacks alone for five days. For some people, taking food out of the equation altogether for a short period of time helps to focus the mind on weight-management without the hassle of “what to eat today” and making unhealthy food choices. 4. A structured weight-management program works best. Research shows that you’re more likely to shift the extra kilos and keep them off with a structured program that includes regular contact with motivated team leader/health professional and supportive colleagues. 5. Fill out your diary. Lots of research shows that documenting your weight-management journey helps to focus and motivate your mind to continue your better health plans. 6. Phase your health management. There are three phases to the RESET plan: five days on RESET Foods (meal replacements and snacks). Then, 28 days to transform – i.e. mix up two RESET meal replacements and snacks with one healthy meal. Then, maintain your weight by opting for one meal replacement (breakfast, lunch or dinner) with healthy meals. Join the 2015 RESETNATION Challenge now and you could win an amazing one-of-a-kind, 4-day health & spa retreat trip to Sanoviv in Mexico!